A fan only used during starting, blows fresh air into the explosion chamber. 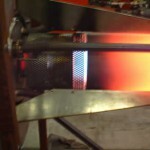 In the same time fuel is admitted and a spark-plug is put into operation. 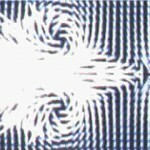 When the explosion limit is reached the mixture will explode. 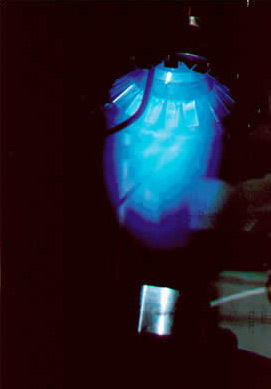 While expanding, the gasses flow through the inlet and outlet pipes. 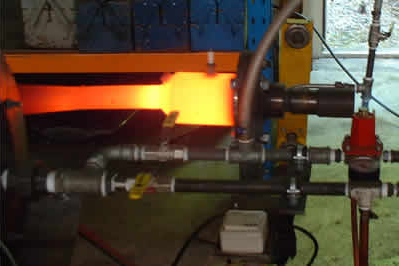 The outlet pipe being greater in length than the inlet pipe causes, due to the inertia of the exhaust gasses, as they travel through the outlet pipe, an under pressure in the explosion chamber. 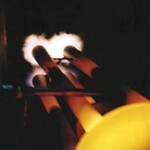 This under pressure tows in fresh air and fuel and also forces the exhaust gasses to slowdown and even changes their direction, thus making them move back to the explosion chamber. 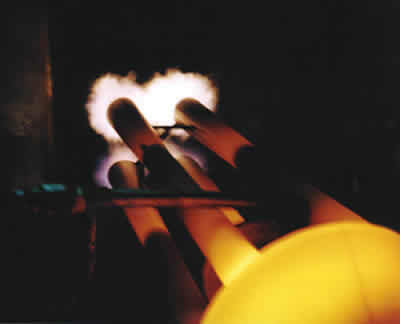 In the explosion chamber the new mixture collides with these old, still burning exhaust gasses, and therefore is compressed and ignited. A new explosion occurs. This makes the cycle complete. Fan and ignition are no longer needed to continue the process. 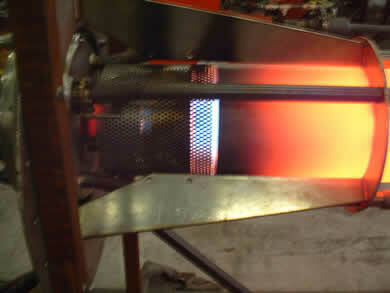 The combustor is in action without ignition, ventilation and other supporting energy, more or less like a diesel engine. In the lower power output range, from 10 up to 100 kW, often the inlet opening is intermittently closed by gas flow controlled back pressure flapper valves. In the upper range from 100 kW up to 10 MWatt, mostly no mechanical valves, but aerodynamic valves are used so no moving parts are necessary. No deposits will form in the combustion chamber and/or the heat exchanger also due to the pulsating stream and high velocity of the gas. 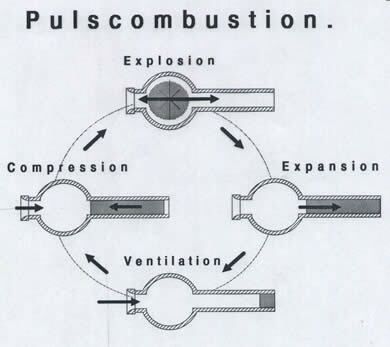 When the Pulse combustor is of the high efficiency condensing type the condensation water is transferred easily to the exhaust decoupling chamber. Very low levels of CO and NOx are found In the exhaust gasses. ( 0-10 ppm CO and 0-70 mg/m3 NOx ) With regard to the environment, Pulse combustion contributes only modestly to the acid rains. A wide variation in the "Wobbe index" can be tolerated. A stack or chimney is not necessary. 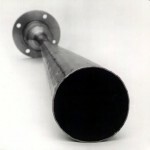 The gasses being low in temperature and under some pressure can be disposed of trough small plastic pipes. 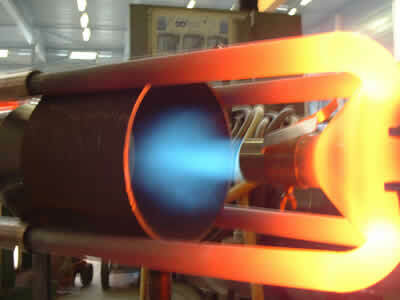 For example a 20 kW combustor only needs a exhaust pipe of 30 mm. diameter. 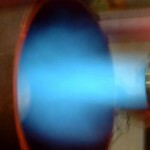 High combustion chamber loads are possible. 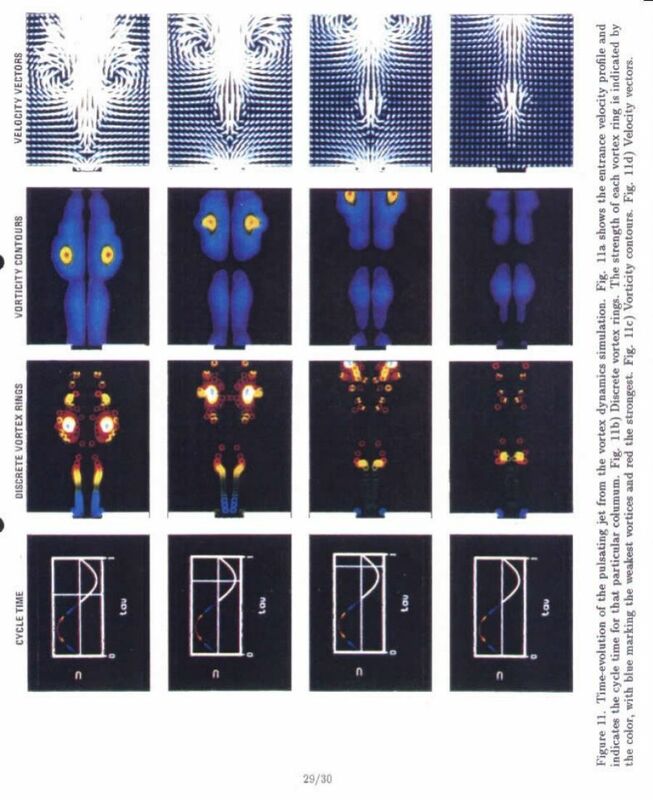 ( 10.000 - 50.000 KWatt/m3 ) This results in small dimensions. 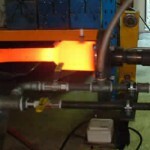 In combination with the high heat transfer nevertheless the combustion temperature is relatively low. ( 1300 - 2000 K ). 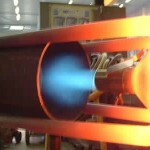 A 20 KWatt pulse combustor has an explosion chamber of 80 x 80 mm. 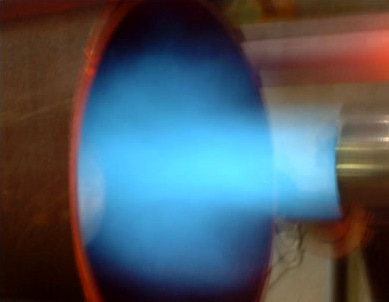 whereas in an explosion chamber of only 400 x 500 mm. 5 Mw. may be generated. The Pulse combustion devices, being thoroughly explosion save can be installed in highly dangerous surroundings, as in explosion zone 0. 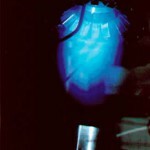 Pulse combustors are very suitable for drying purposes. 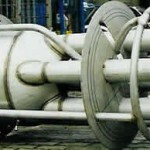 They produce inert exhaust gas of a high temperature and highly oscillating. Apart from all these advantages of course some disadvantages exist. First the high level of sound that is produced by the explosions is really annoying. 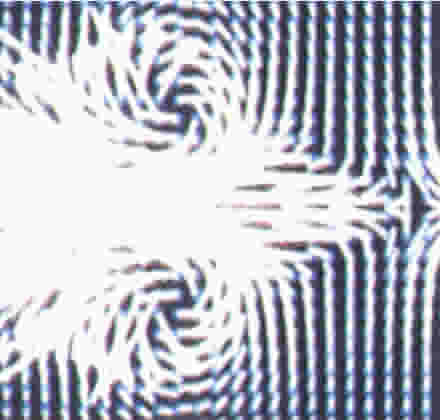 Also the internal feedback of the oscillating gasses can be a problem. Both items are setting high demands to the product development and the engineering. 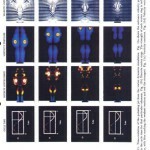 Nowadays the problems can be solved due to the more thoroughly and extended know-how on pulse combustion.